We officially greeted spring this week, which reminded me that April is just around the bend. Though for some it may be the cruelest month, there are two things about April that I especially appreciate: it’s National Poetry Month, and Earth Day swings around on the 22nd. 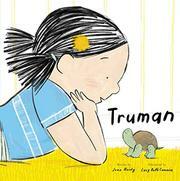 Here are two new picture books to honor and celebrate both occasions. 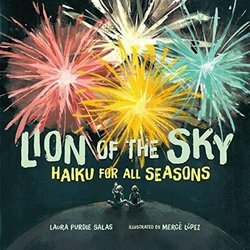 Laura Purdie Salas is one of children’s literature’s most prolific and inventive poets, and her newest book, Lion of the Sky: Haiku for All Seasons, is a sheer delight. 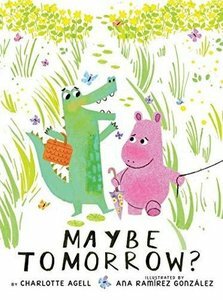 If you work with children in any way or find yourself reading to them, be sure to have a copy on hand to celebrate National Poetry Month. It is precisely what the title tells you—a series of original haiku about spring, summer, fall, and winter—but there’s a bit of a twist. Salas’s haiku are rich in figurative language (fireflies described as a “meadow of stars” and fireworks described as the phrase in the book’s evocative title) and imagery (a mosquito described as “wicked whine with wings”). López uses gentle, lyrical lines and playful perspectives to bring the haiku to life on the page. It’s a primarily earth-toned palette at play here, but she adds pops of color in vivid yellow fall leaves, a bright green bucket on the shore in summer, the bold colors that fly from the imaginative possibilities a pencil brings, and much more. Don’t let this one pass you by; it’s an invitation to see the world with new eyes—any time of year. feeling of being part of a community that is always there for you, no matter what. So, she set out to do just that, creating a book that pays tribute to nature and, specifically, the ecosystems at work on our planet and the ways in which they, as she puts it on the opening spread, shower us with gifts. In a direct second-person voice (“you always have company”), she covers the water cycle, photosynthesis, pollination, the sun, forests, life under the ocean and the role of plants “when danger lurks,” the world of flora and fauna, microorganisms in our skin and bacteria in our stomachs that keep us immune from diseases, and much, much more. It’s all about our interwoven “connections to the land and the sea” and how it keeps us thriving. It’s a sprawling topic, an invitation to wonder, and Kelsey makes it work. Via three-dimensional dioramas, Kim populates the spreads with children flying, playing, and joyfully exploring. Sometimes they shrink in size to ride an ant under the earth or walk on the branch of a tree; sometimes they ride atop the “wee little cleaning mites who evolved from mites that lived on the faces of your relatives”; and sometimes they float in the air as gravity hugs them tight. Cool blues and greens dominate—and the compositions are busy, but Kim knows where to draw readers’ eyes. 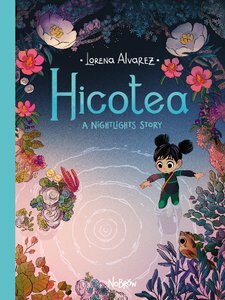 The starred Kirkus review describes it as “richly rewarding,” inventive, and “visually arresting.” Yes to all of the above. 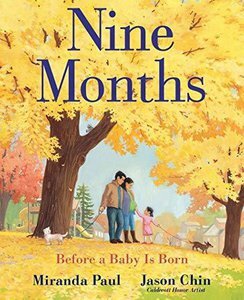 It’s satisfying to see Kelsey and Kim pair up, and this new title is a spectacular addition to their growing list of books. LION OF THE SKY: HAIKU FOR ALL SEASONS. Text copyright © 2019 by Laura Purdie Salas. Illustrations copyright © 2019 by Mercè López. Above illustration reproduced by permission of the publisher, Millbrook Press, Minneapolis.